Oil industry and environmental leaders in California both marked the 50th anniversary of the Santa Barbara Oil Spill on January 28, but they did it in very different ways. 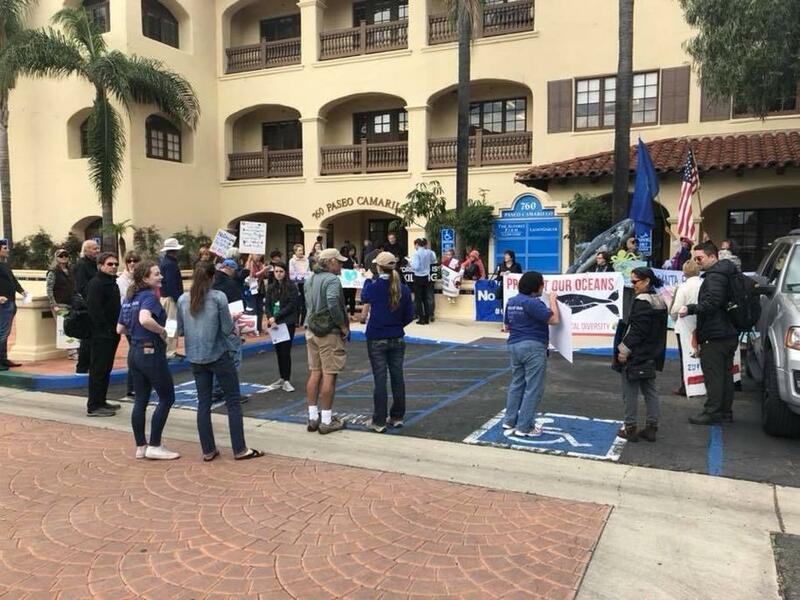 On the other hand, environmental advocates remembered the 50th anniversary of the spill by protesting outside the Bureau of Ocean Energy Management’s Pacific regional office, the federal office working to expand offshore drilling in U.S. waters, in Camarillo, California on Monday. Organizers of the protest included the Center for Biological Diversity, Greenpeace, Surfrider Foundation, Food and Water Watch, and Citizens for Responsible Oil and Gas. The reason why Big Oil has been been able to expand offshore and onshore drilling in California in recent years is simple: deep regulatory capture - the capture of the regulators by the regulated — by the Western States Petroleum Association, oil companies and other corporate lobbies. If you want to know the industries, organizations and people that control California, the Western States Petroleum Association (WSPA, the trade association for the oil industry and the largest and most powerful corporate lobbying organization in the state, is right at the top of the list.